Height safety systems inspections are a challenge to maintain. Just ask any facility manager worth their salt and they will agree. Throw in the challenge of varying inspection periods and the complexity of standards compliance and before long, you have a headache. Typically all permanent height safety systems require annual reinspection and recertification once installed, to verify their ongoing compliance. Most fixed-system products such as horizontal lifelines, anchor points, walkways, ladders and working platforms are designed for a 10-year plus life span. However, the impact of exposure to the outside environment from exposure to UV light, corrosive environments, salt air exposure and the like can all commence the process of deterioration before life expectancy is reached. Another reason underlying the importance of maintaining annual inspections is changes in facilities themselves over time. The placement of items such as solar panels, air-conditioning systems, the addition of skylights or realignment of roofing materials may mean that the systems that were designed for access at the time of installation are no longer safe or appropriate for ongoing use. In an attempt to assist those managing large facilities and buildings with this issue, the Working at Height Association (WAHA) recently released an ‘Industry Code’ for the safe installation of anchor points, horizontal and vertical lifelines. The organisation also plans to launch a similar code for platforms, guardrails, walkway and handrails in the very near future. Although the WAHA identified a number of poor-quality installations during a recent assessment of systems across a broad range of facilities in Australia, regulators do not have enough time to be able to spend on providing proactive advice. These codes are seen as essential information for installation companies to provide helpful guidance on safety systems from design right through to installation. Visit the website www.waha.org.au to access a free copy. The real issue with maintaining inspections however is accessibility to data. So often, the system design criteria and calculations for safe installation are not available some years down the track. In a lot of cases the data has been recorded on paper-based systems that become lost, misplaced or are simply thrown out. Some manufacturers are also unwilling or unable to be able to provide the inspection or base information for their systems to third parties, including the asset owners. Whilst this is their right to do so for commercial reasons, it becomes very unhelpful for attempting to maintain the history of inspection and to maintain system compliance data. This of course becomes even more important if there is ever an accident, as it places the facility owner in the unenviable position of being able to try to demonstrate their regular maintenance of the system. 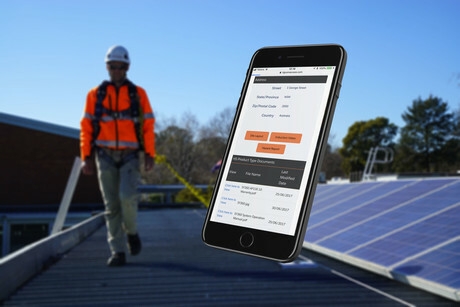 This issue is solved with an electronic, cloud-based system that provides an asset owner with a complete history of their installation information from ‘cradle to the grave’ data. The ALTUMTM Height Access Management System from RIGCOM Access is one such system that can provide this facility. Available free of charge to all customers, you can access the history of all information about your height safety systems, track access by maintenance staff, view induction videos and create reports about access all from your online portal access. Therefore, maintaining your safety systems can be a little arduous if you use paper-based systems or use spreadsheets. A technology alternative will however remove this pain from your life and ensure you maintain 100% compliance, 100% of the time. Compliance is easy with the help of technology and with people that can provide the right advice. Preventing tools and equipment from being dropped or knocked from heights is crucial.